Welcome to 2013! I hope everyone had a relaxing and festive holiday season. Late fall was filled with a flurry of autumn leaves and holiday sessions and then I enjoyed some time off to celebrate with my family. It was great to leave my computer turned off for an entire week! But I am back to the studio now and so excited for a brand new year in the business. Can you believe that this May will mark my 7th year capturing all you beautiful folks in the Triad? 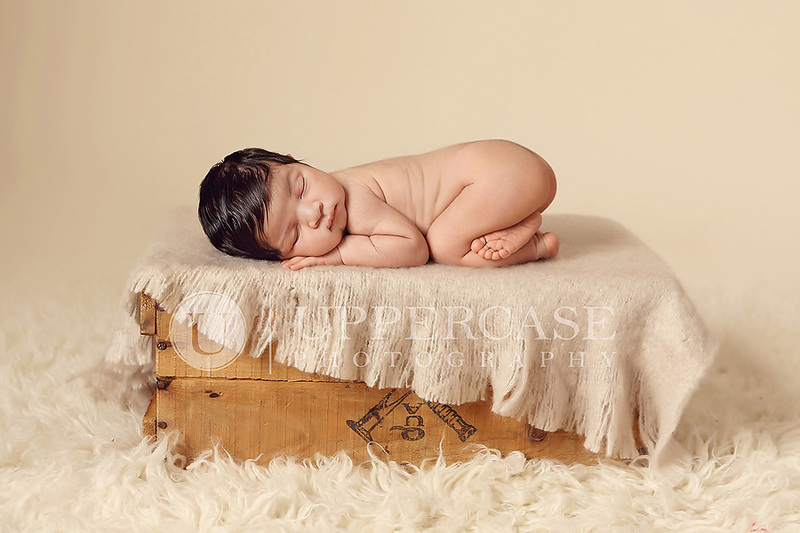 Now that the cold winter months have arrived, it is time for Uppercase Photography’s annual Snow Babies Special. 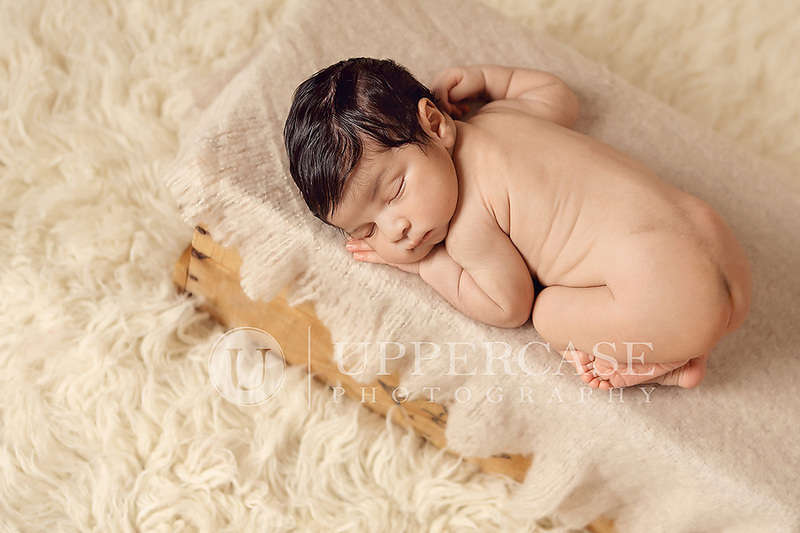 Anyone who books a newborn session during January and February (can be due at any time in 2013) will receive their entire session fee credited toward their order ($120 savings.) And this year, there is even a little something for those who aren’t expecting….as long as you know someone who is! 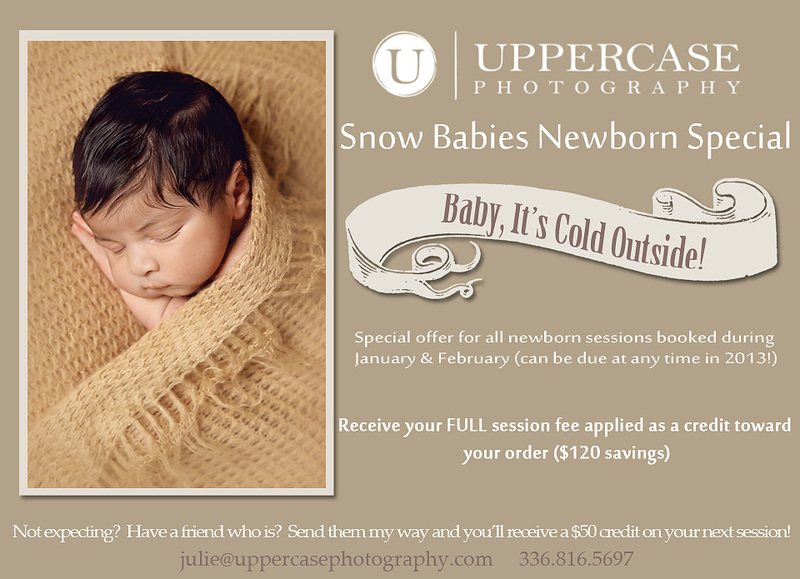 Refer a friend who books the Snow Babies Newborn Special and YOU will receive a $50 credit toward your next session. 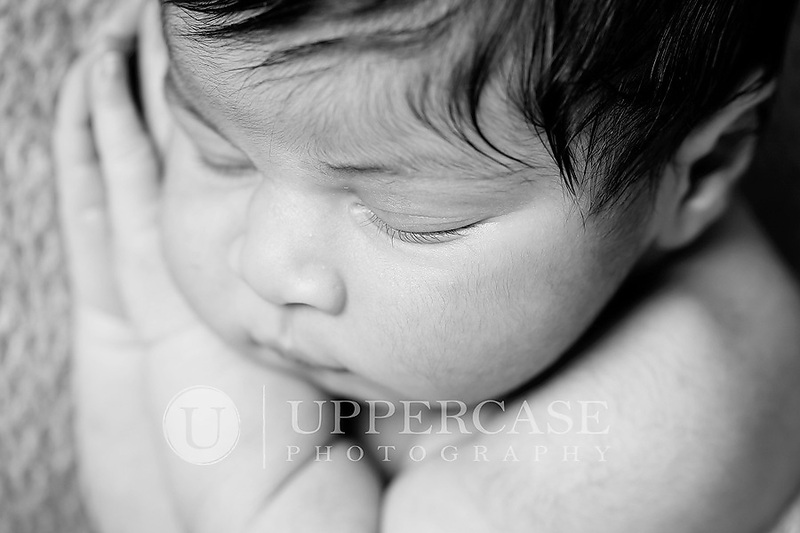 Take a look below and email me at julie@uppercasephotograph.com for all the details. And I couldn’t stop at just one image of the completely gorgeous little man announcing this special, so here are a few more from his session. 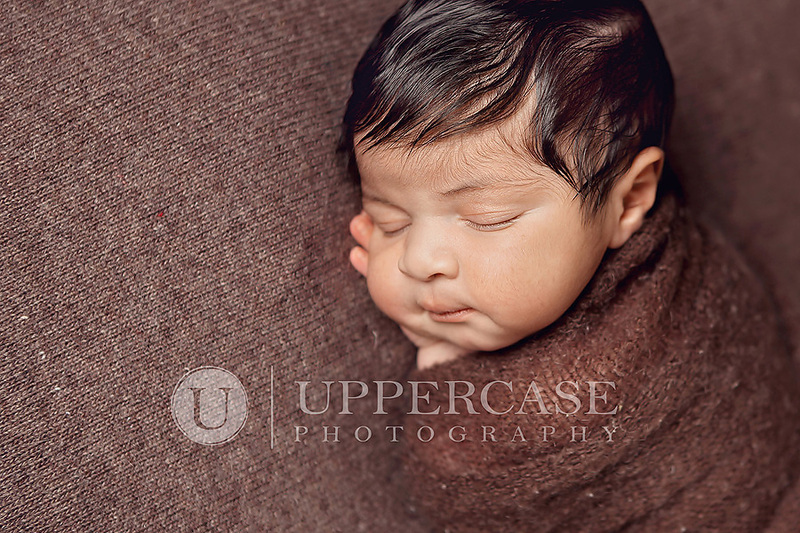 That head full of hair and chubby cheeks made for some of my favorite newborn images this fall. 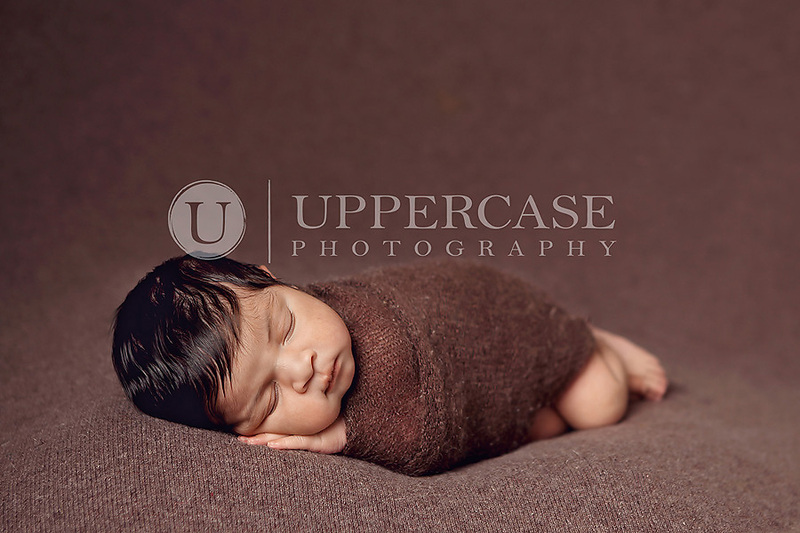 In addition to the Snow Babies Special, I am also booking all types of sessions for January through May. 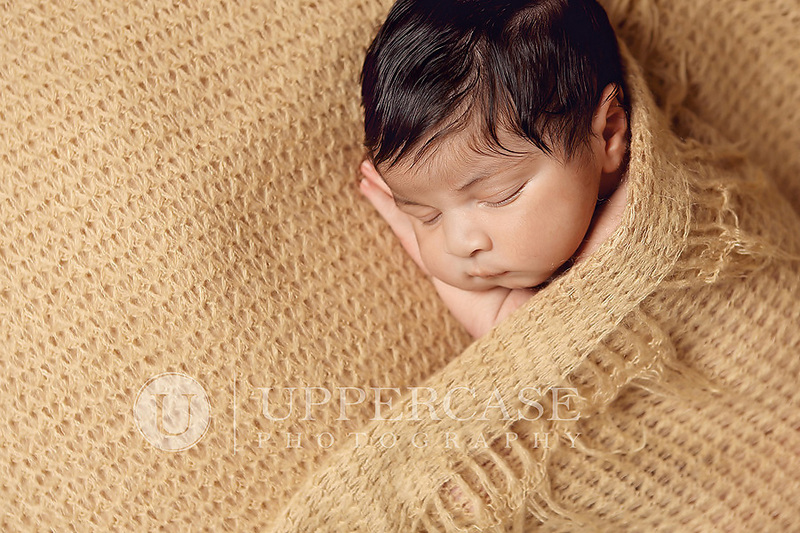 If you are interested in a session this spring, don’t delay in emailing me at julie@uppercasephotography.com. Beach session dates for July and August are coming soon. I am finalizing those dates available for very limited sessions on the lovely coast of North and South Carolina. Keep an eye out as open spots will be very limited! January 25, 2013 - 11:00 pm	CJ Wilkes - Oh my! That hair is amazing! Love all the images. Lovely coloring. Well done! I am sure they are thrilled over these!